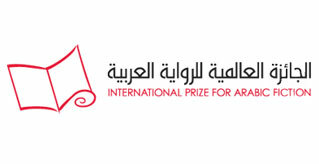 The Prize is run with the support, as its mentor, of the Booker Prize Foundation in London and funded by Department of Culture and Tourism, Abu Dhabi (DCT). The annual International Prize for Arabic Fiction (IPAF) is given to a novel in Arabic which IPAF's judges consider to be the best of that year. The Prize is a trailblazer in the Arab world in its commitment to the independence, transparency and integrity of its judging process. Each year IPAF's Board of Trustees selects a new panel of five judges. The judges may be literary critics, writers and academics from the Arab world and beyond. To underline the international dimension of the Prize, one judge is always a non Arab, who is not necessarily a fluent speaker and sophisticated reader of Arabic. Submissions open on 1 April and must be received by 30 June. Publishers can submit up to three of their novels from the calendar year which ends on 30 June that year. The judges read all the novels submitted (in recent years this has been more than 150). They meet together three times, first to decide a longlist of sixteen, then to refine this to a shortlist of six, and finally to choose which of the shortlist is the winner. The judges can have no regard to external influences and opinions, nor to issues of nationality, religion, politics, gender or age. But with only these essential parameters, once appointed the judges are free to make their decisions as to what should be recognised as “the best” as they see fit. This independence and integrity of the judging process is of fundamental importance for the Prize. The winner announcement takes place at a gala ceremony in Abu Dhabi in spring. The shortlisted authors each receive $10,000 US. The winning author goes on to receive a further $50,000 US, with a commitment that IPAF will meet the cost of translation of the winning novel into English to help underwrite its publication for an English speaking readership. IPAF also actively encourages the translation of all shortlisted novels into other languages. Recognition by IPAF brings attention from publishers worldwide. So novels associated with IPAF can look forward to increased readership and sales both within the Arab world and internationally through translation.